Holidays are coming and as much as we love shopping for friends and loved ones, sometimes it’s so hard to find something they will really like and use. If you have a friend or relative who takes their pet on vacation, having items for their pets that are portable, durable, and easy to pack up is very important. Have a friend who loves to take their pet on adventures? Check out these great gifts! For cats and smaller dogs, this Pet Car Seat will keep them safe and secure while you drive, not to mention keeping them out of your lap. 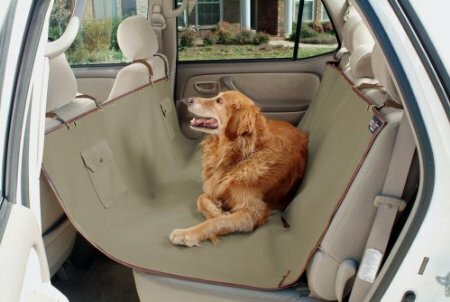 This Pet Car Hammock is especially handy if your road trip will include any stops at lakes, rivers, or the ocean – or if you might encounter rain along the way. It’s much easier to remove and wash this sturdy hammock than it is to get your car’s upholstery cleaned! 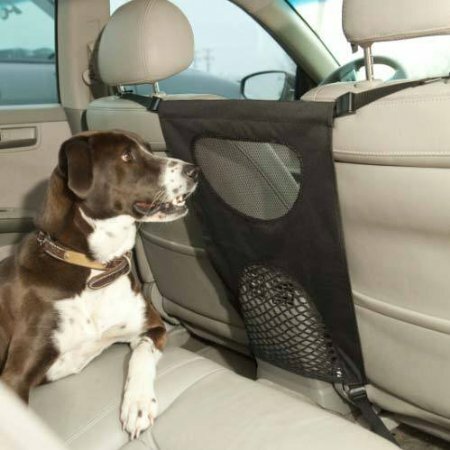 Keep Fido in the back seat – for his safety and your comfort – with this Pet Travel Barrier. It’s easily removable for those times when you don’t mind doggy breath on your face as you drive. The folks at AAA know a thing or two about road trips – and that includes road trips with your pet. 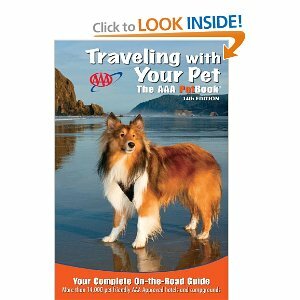 The book “Traveling With Your Pet: The AAA Petbook” is updated every year to include more than 14,000 pet-friendly hotels, campgrounds, attractions, parks, and even animal clinics around the United States, along with tips about making sure your pet is ready for a trip either in the car or on a plane. It’s a handy resource to bring with you when you aren’t sure whether you’ll have internet access along the way. Le Bone Appetit has put together the essentials for any dog hitting the road. 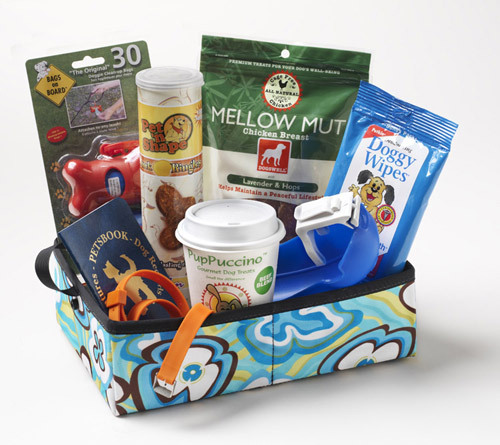 Healthy snacks, doggie bags, and a travel bowl are just some of the items in the gift basket. You can also add more items or create your own gift baskets. 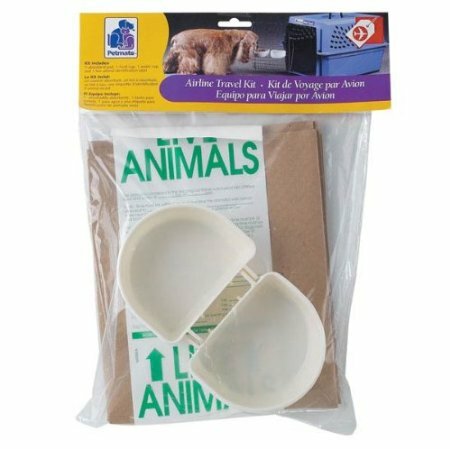 This Airline Travel Kit for Pets includes the “Live Animal” sticker you’ll need to put on your pet’s carrier, an absorbent pad to give the carrier a quick clean on layovers, and a couple of small dishes to hang from a carrier’s cage to give your pet easy access to food and water when you’ve only got a few minutes to spare. These Disposable Pet Pads will help keep your pet more comfortable if he or she has an “accident” mid-flight, and they make cleaning out the carrier on layovers much quicker, too. There’s an adhesive strip to keep the pad in place in the bottom of the carrier. 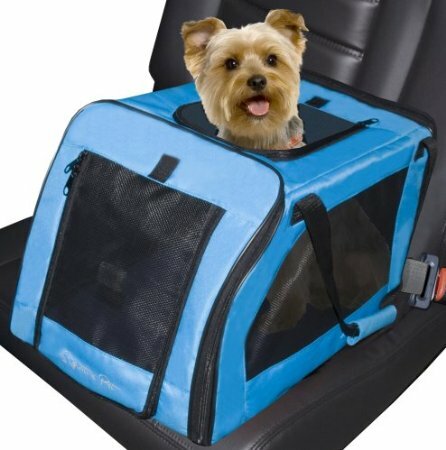 This chic Pet Carrier is perfect for cats and small dogs who will spend the flight under the seat in front of you. 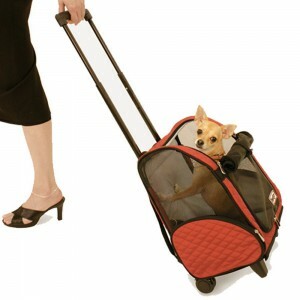 Always make sure you check with your airline’s pet carrier requirements before purchasing a carrier for your flight. This Pet Carrier is another that will work for cats and small dogs that you intend to bring on board the plane and stow under the seat in front of you. Always make sure you check with your airline’s pet carrier requirements before purchasing a carrier for your flight. 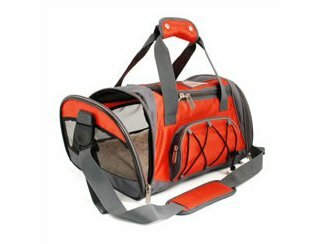 If you plan to bring your cat or small dog on the plane with you but you’d rather not haul the bag around on your tired shoulder all day, then this Rolling Convertible Pet Carrier may be ideal – you can roll it or carry it like a backpack. Always make sure you check with your airline’s pet carrier requirements before purchasing a carrier for your flight. 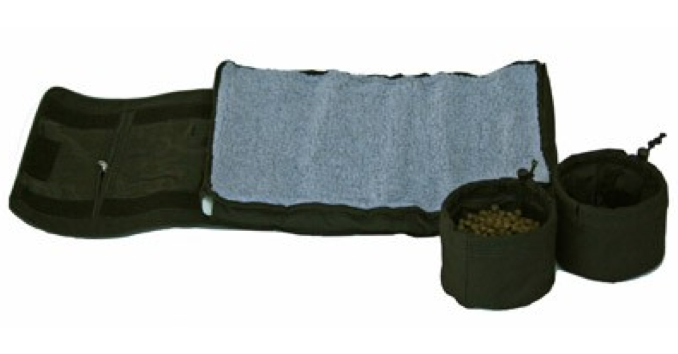 This Travel-tainer by Vittles Vault makes it easy to keep a supply of kibble plus two bowls – one for food and one for water – handy at all times. It works for long car trips when the bulk of the pet food is packed away, or for plane trips so you can offer food and water on layovers. 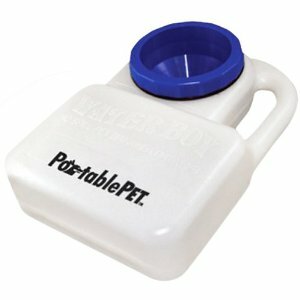 Always have a handy water supply for your pet – and a built-in bowl from which to drink it – with this PortablePET WaterBoy. 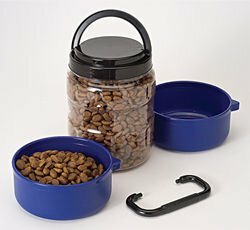 It holds up to three quarts of water, has a carrying handle, and a water bowl built right in. Pressed for space? These Pop-Up Travel Bowls collapse to be stored flat when not in use, and are available in 1-cup or 3-cup sizes. Camping? Bringing along a canine buddy? 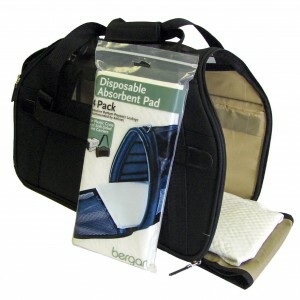 Then this roll up bed and portable bowl set from PetZen is perfect. The bed is washable and the bowls are leal-proof. It even comes with an adjustable carry strap. 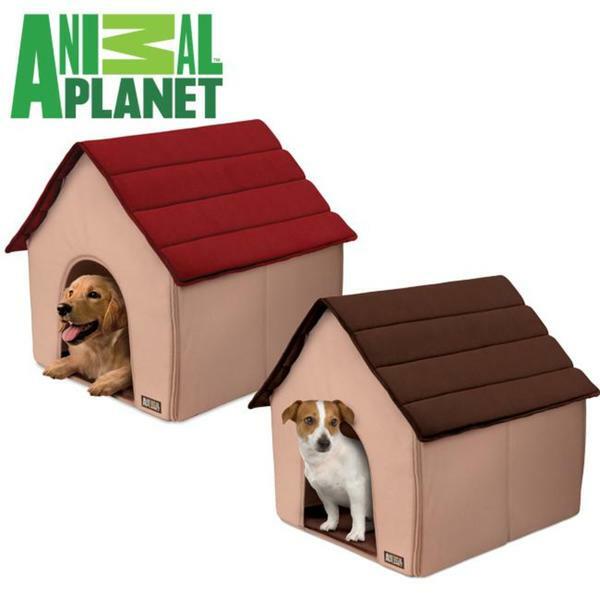 Made from soft foam, with fasteners for quick assembly, this portable dog house is great when going on a trip. 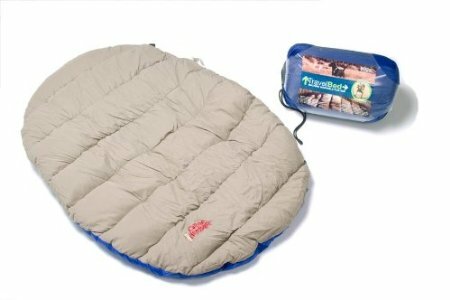 Keeps pets warm and comfortable and folds flat for easy storage. This is the perfect bed for the green living friend and their pet. It’s a polar-fleece bed that is not only cozy but made from post-consumer plastic bottles. It’s also soft, warm, and easy to toss into the car when packing for a vacation. The drawstrings pull up the sides to create a nice little cozy bed. This cozy Travel Dog Bed squishes down to almost nothing for packing, but is fluffy and comfy for your pet when you need it to be. 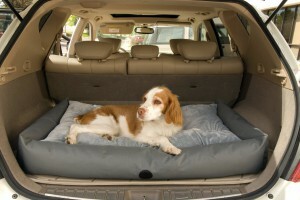 Do you want to let your pet ride in comfort and style in the back of your SUV? Then this SUV Pet Bed is for you. Zipped up, this Folding Travel Dog Bed looks like just another bag. 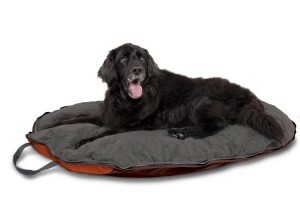 Unzipped, it’s a comfy bed for your pooch. 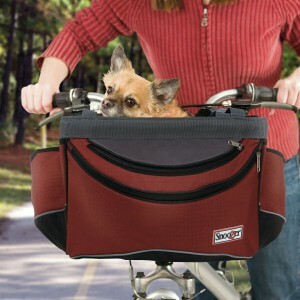 This Sporty Pet Bike Basket comes equipped with storage pockets for things like leashes, treats, and clean-up baggies, and it folds flat for easy storage. 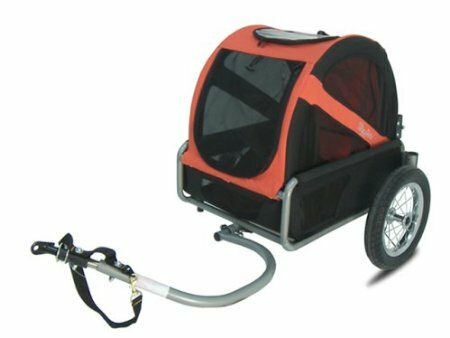 If Fido can’t keep up with you while you’re biking, you can still bring him along with this Mini Dog Bike Trailer. In Style Dog knows that pet owners and their dogs love to be active. 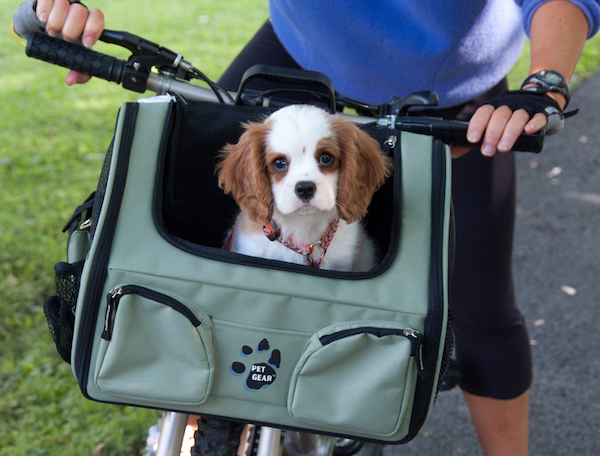 For smaller dogs who may not be able to keep up with their owners, there’s a bike basket for them to sit in while their owner rides for miles and miles. 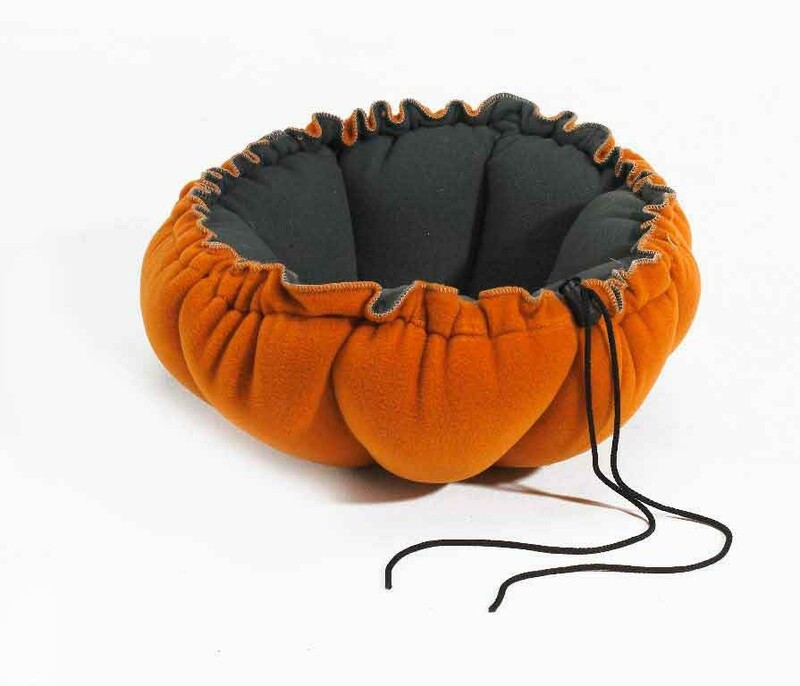 Fleece padding, meshed pouches, and zippered pockets make this the perfect seat for their canine companion. i’m looking for a doggie car seat.